Welcome to Tankard Nurseries online! 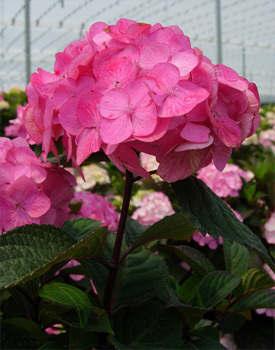 We are a wholesale nursery serving the Northeast and Mid-Atlantic states. In this modern era of significant labor and inventory holding costs, it is our intention to make our inventory of landscape plants available to our customers on a real time basis. Tankard Nurseries is positioned in one of the best growing and distribution points on the East Coast. Surrounded by the Atlantic and the Chesapeake, our moderate climate enables us to grow a wide selection of well-acclimated plants. We grow old standards like Boxwood and American Holly while also endeavoring to grow the newest Hydrangea and Crape Myrtle. Our nursery is composed of four divisions: above ground containers, Pot-in-Pot, B&B shrubs and evergreens, and specimen trees and hollies. We encourage you to browse our website or make an appointment to visit the nursery so that we may show you why our plants and service are one of the best values in the industry today.